Since I have caved to the dark side and have been blogging about things I have bought then I would like to use this space to sometimes promote the independent retailers, crafter and downright talented also. 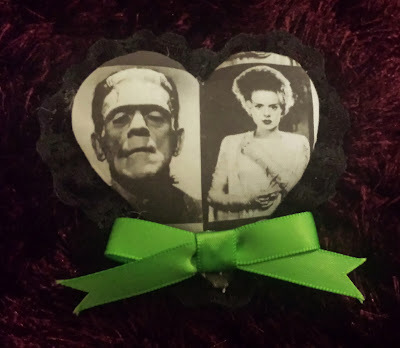 I have been following this lady on instagram for some time but when she put up this picture my heart bounded with consumer envy and I knew I just had to have the Frankenstein hair clip RIGHT NOW! For those who do not know I am a massive horror frank and The bride of Frankenstein is an absolute classic. I blogged in my old blog about an amazing night I attended which was a unique experience and how everyone should get to see this movie. I may reblog this on here for you guys to read. Since I know you are just dying to hear all about it. Anyway I digress. 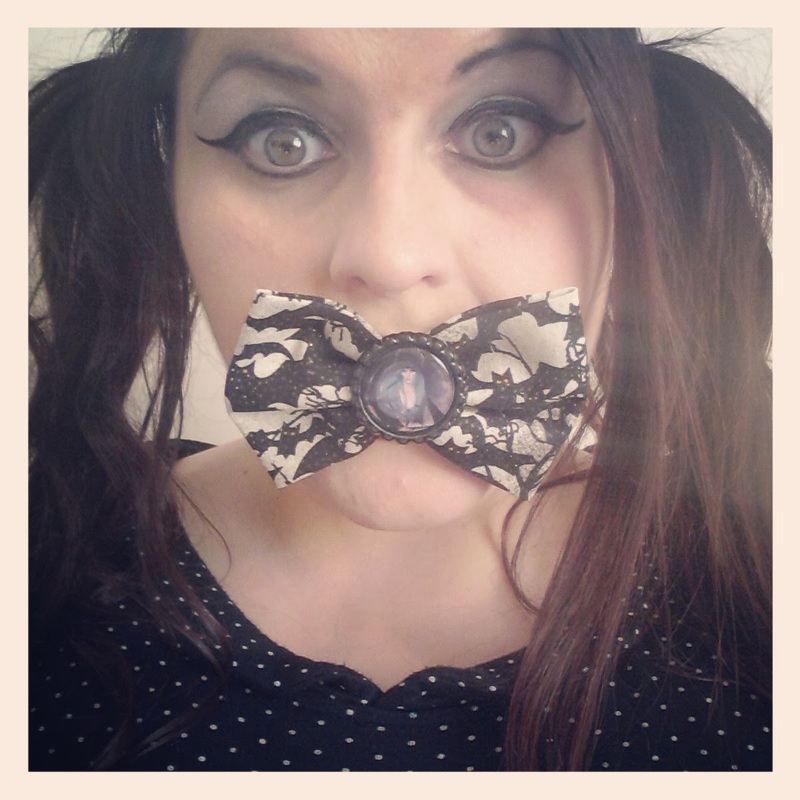 So you really should check out this ladies ETSY right here. 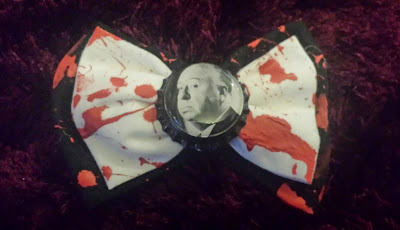 I squealed with excitement when I opened my package and found my bows were packaged in a super cute horror style bag. This lady is one of the sweetest people I have ever bought from. She had not really sent goods to the UK before but didn't stop me from buying from her as many do and then I have to miss out on awesome goods. She left me a super cute note with the bows. Some bows I have seen that have been hand crafted are made lazily and fall apart quickly. Not these ones they are really good quality, very skilled work and wicked awesome ideas. She has a great and varied collection and they are really affordable and reasonably priced. 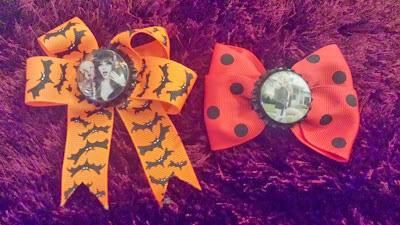 You even get a bow free when you buy 3! How can you go wrong with that bargain my only problem was trying to choose which ones I wanted to buy. I will definitely be buying more soon!